Marriage is a uniting of two unique individuals. We keep this in mind when working with our couples to produce bespoke floral arrangements that truly reflect their shared style and personality. 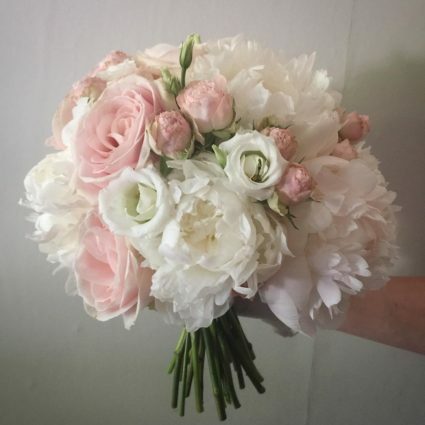 Our personalised approach will bring your vision to life, whether you love a look that’s elegant and natural, sleek and contemporary, or wild and organic Cherry Blossom can delivery timeless romance on your wedding day. Some brides come to us with firm ideas of flowers they’d like, others have very little in the way of inspiration or a theme. Either way we are happy to provide creative input and guidance. Our initial consultations are conducted in-person or on the phone and generally last about an hour. We ask that you bring as much information as possible – photographs, Pinterest boards, fabric swatches, magazines, and any other ideas that help us better understand what you love. We talk through your ideas, needs and budget, discuss your wedding venue, show samples of our previous work and give you advice on what will work best. We then follow up our meeting by providng a detailed quotation. 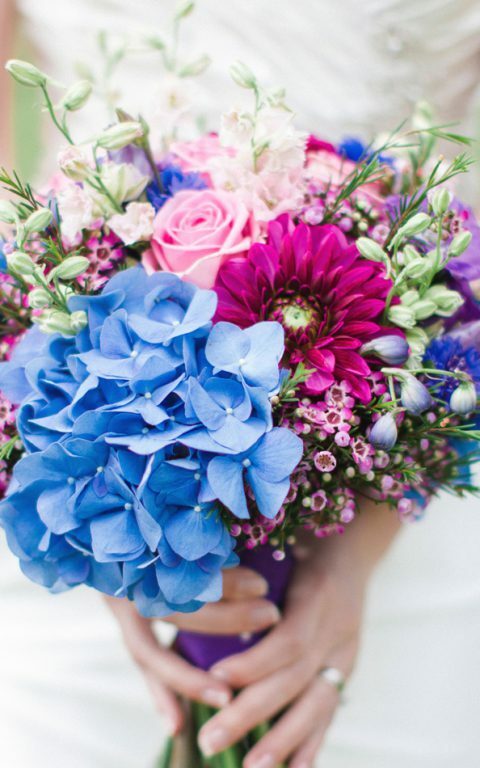 On the day of your wedding day we will personally deliver all flowers to the bride, groom, hairdressers, church and reception venue to fit within your timeline. We will source and supply all glassware and props required and arrange collection the following day from your venue. We can also provide a service where we transfer church flowers to your reception venue, which allows you to get full use of your flowers. We pride ourselves in providing that “personal touch” to every event and our team take care of all the setup on the day so you can relax and enjoy yourselves. Our team love nothing more than exploring exciting new locations! 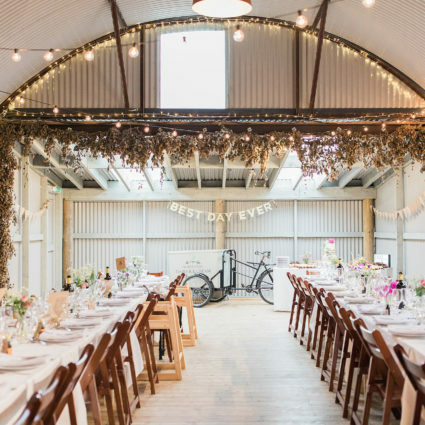 We’ve decorated every kind of venue over the last ten years, from castles to grand country homes, cathedrals to quaint village churches, barns to marquees. Some favourites include – Mar Hall, Cameron House, Dalduff Farm, Glasgow University Chapel, Brig O’Doon, Lochgreen Hotel, Hotel Du Vin at One Devonshire, Glenskirlie House & Castle, Sherbrooke Castle, Altskeith House, Boclair House, House of an Art Lover, The Western house, Lochside Hotel, Lodge on Loch Lomond, The Cruin, Knockderry House, Harburn House, Crossbasket Castle and the Buchanan Arms. Cherry Blossom are no strangers to working with couples from afar. 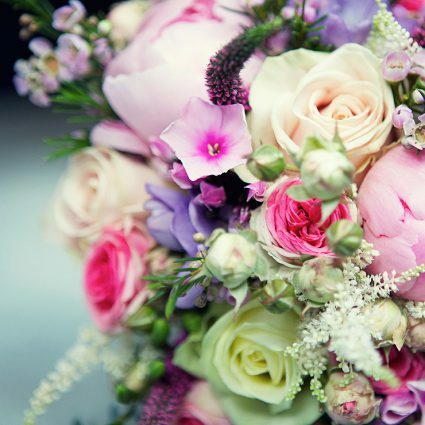 Many of our British clients are London based, but tying the knot in Scotland. Further afield we’ve worked with couples based in Europe, Australia, Canada, America, Russia and Asia. Our depth of experience allows us to guide you through the process seamlessly. Don’t worry about the time difference, Laura is a night owl and loves nothing better than a late night skype call! 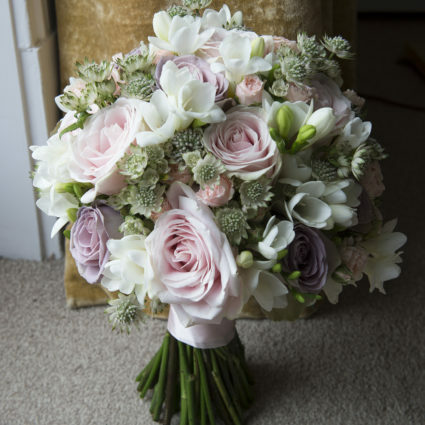 Cherry Blossom is a multi-award winning wedding florist, we live and breathe weddings. 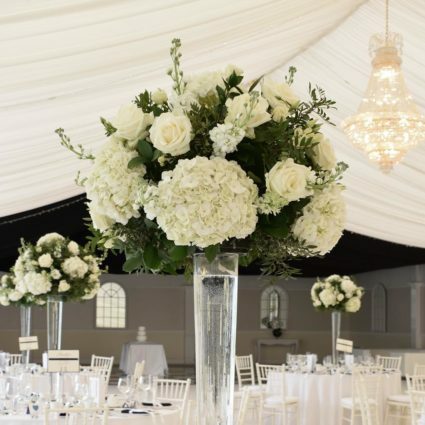 Over the last 10 years we have twice been winners of the VOWS AWARDS – floral design category (in 2009 and 2011), as well as reaching the category shortlist on 10 occasions. Our wee team work our socks off and nothing brings us more joy than a glowing customer testimonial! We often receive cards, emails and other great feedback that give us confidence that we are delivering the high level of service we aspire to provide. 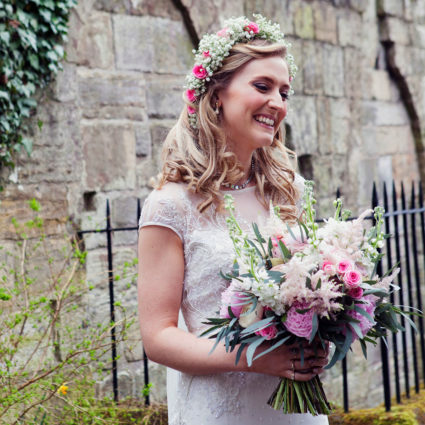 A few words from our fabulous brides and grooms can be found on our testimonials page.